Don’t waste money on expensive snacks at the gas station. 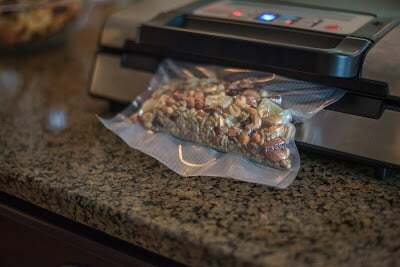 Make your own healthy trail mix using your NESCO Dehydrator and Vacuum Sealer, perfect for those long summer road trips or packed lunches! Place the nuts in a bowl and add the salt. Cover with filtered water by at least 1½ inches. Soak at least 7 hours or overnight except the cashews – soak them for 6 hours exactly. Cashews will become too slimy after a prolonged soaking time. Rinse the nuts thoroughly and drain in a sieve. Place them in a single layer on the dehydrator trays. Dehydrate at 100°F for 24-36 hours. The timing varies depending on the nuts and seeds. 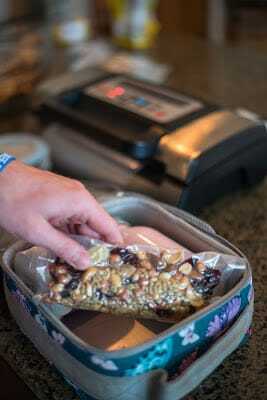 Make sure your nuts/seeds are completely dry. Moisture can cause them to mold during storage. Set nuts aside. 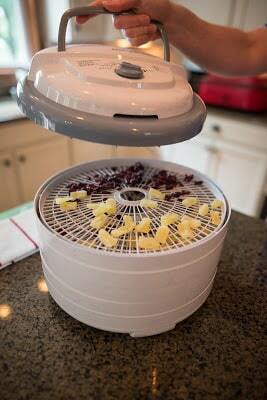 Place a single layer of pineapple slices on the dehydrator trays. 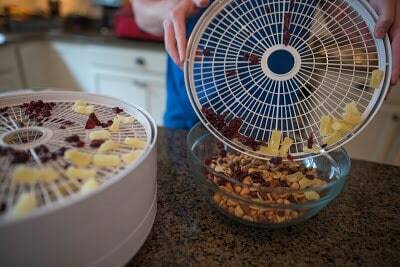 Dehydrate at 135°F for 12-16 hours, turning the fruit after 8 hours to ensure even drying. The dehydrated pineapple will be finished when it is firm, chewy, and lightly sticky. Vacuum seal and place in refrigerator until needed. Wash cherries and pit them by slicing in half. 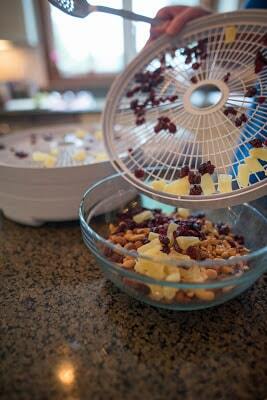 Place a single layer of cherry halves on the dehydrator trays. Dehydrate at 125° F – 135° F for 9 -16 hours. Cherries are finished when they look plump, but not wet. 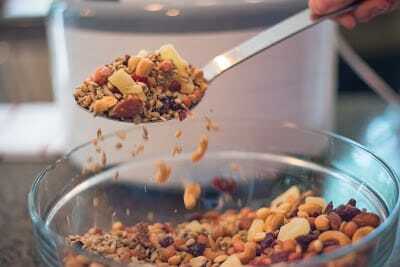 Combine dried nuts and fruit in a large bowl. Vacuum seal in desired portions for freshness.